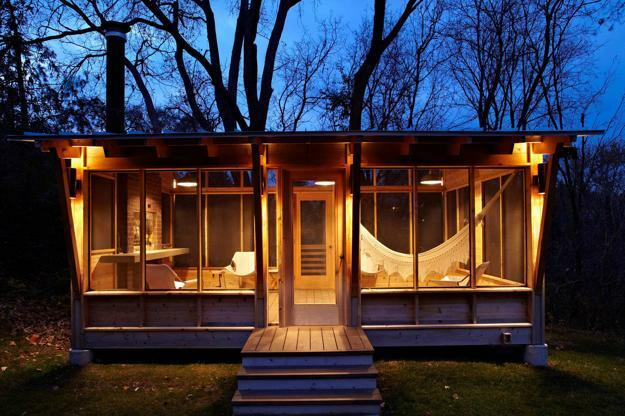 This garden house with glass walls looks beautiful and comfortable. 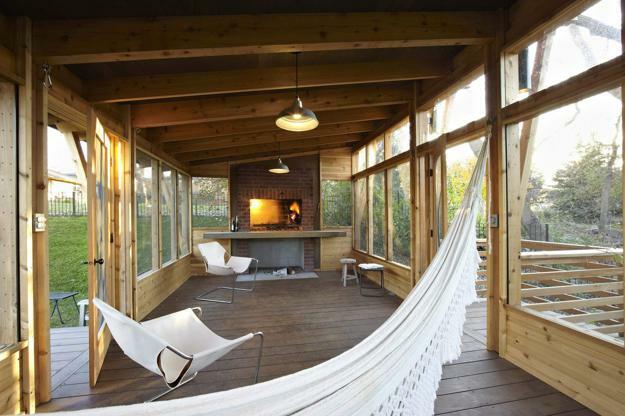 The wooden structure was transformed from a kids playroom into a cozy, spacious and attractive glass enclosed wooden gazebo with a brick fireplace and BBQ grill. Lushome presents this functional and modern design, developed by American company M Valdes Architects, mvaldesarc.com/. The garden house exterior design features functional and very decorative beams. Wood siding compliment glass wall design creating the beautiful garden house with panoramic views of the landscape. The fireplace, removable polycarbonate panels and galvanized metal roof design make this wooden gazebo warm in winter months. 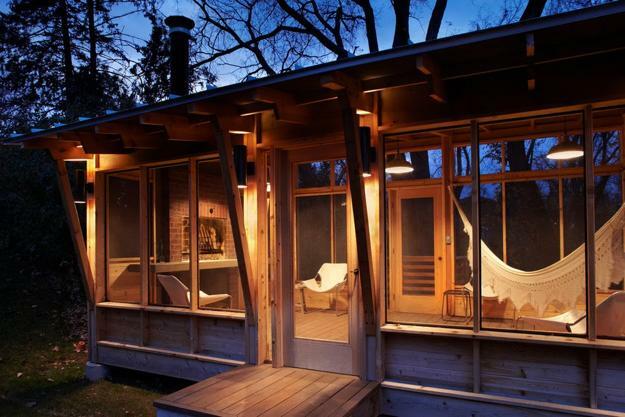 The sloping ceiling beams and light cedar wood of the gazebo structure adds visual interest to this garden house. 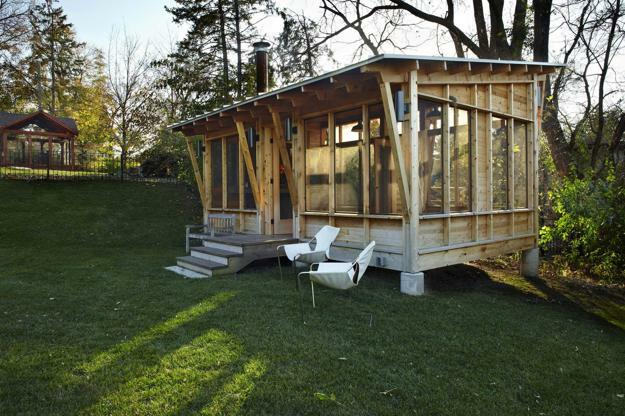 When their daughters grew out of the swing set the family decided to replace the kids playroom with the Pavilion, the garden house for summer and winter use. 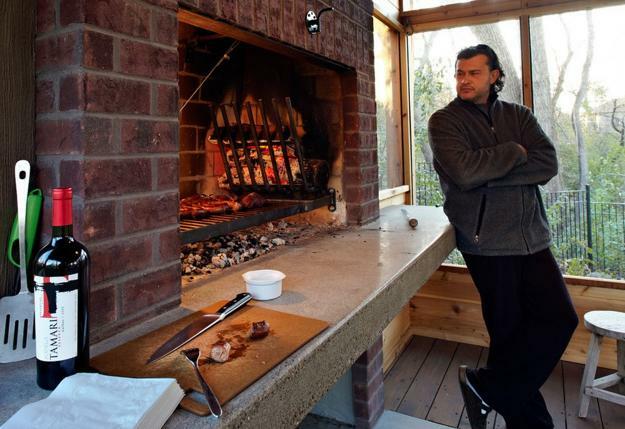 The Pavilion has a parrilla to grill beef and chorizos following the Argentinian and Uruguayan tradition.It is decorated with a hammock bed and chairs, wich provide an opportunity to relax and enjoy the natural landscape. 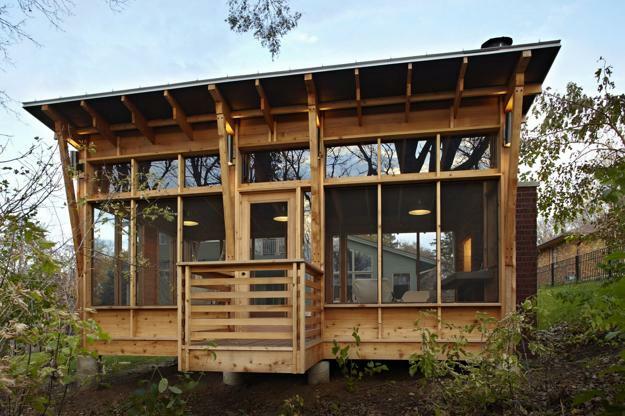 The pavilion won a RAVE award in 2012. Photographs by George Heinrich Photography.